Nat Hentoff, the dean of jazz essayists who in the 1950s applied modern feature-writing techniques to musicians who up until that point had been treated as little more than hip novelties by many trade journalists, died of natural causes on Jan. 7. He was 91. To read Nat's books and liner notes is to be led by the hand into the jazz world and introduced to people he knew intimately, not casually. Through his words, readers had a sense of who these musicians were, not just what that were playing. JazzWax: Do you listen to jazz while you write? Nat Hentoff: It’s very interesting you ask that. Most of what I write these days is so depressing, like the continuous genocide in Darfur and all kinds of other stuff, that I find I must stop once in a while and listen to jazz. Otherwise I'd be in a booby hatch. I always remember what Merle Haggard [pictured] told me. Merle knew a lot about jazz and could play it when the venue was right. Merle once said. "Sometimes I get so far down that nothing will pick me up except music." JW: What were you just listening to? NH: John Pizzarelli. I'm interviewing him soon for a series of TV interviews that are being recorded at the Blue Note club in New York for eventual broadcast on PBS. I get the transcripts of my interviews so I can write about the subjects. I had heard John in the past, but I had no idea how good this guy is. You want a definition of swing? Just listen to John Pizzarelli. He lifted me way up just before you called. JW: So which came first, Nat Hentoff or jazz? NH: [Laughs] The music that came first for me goes back at least 2,500 years. That's the cantorial music I heard when I was a kid. Back then I had to be in our orthodox shul on the Jewish high holidays, and I was so taken by the sounds and the passion of the cantor. I knew something of what he was singing. Most of the time it seemed like he was arguing with God. Later I learned that what he was doing was undertaking the practice of taking one note and singing variations on it. That got to me. JW: When did jazz first hit you? NH: When I was 11. I was walking down Boylston St., the main street in Boston. In those days, record stores had PA systems so you could hear the music outside the stores. And I heard something so striking that I shouted out loud. You didn’t often do that in Boston back then. I rushed in and asked the clerk what was playing. It was Artie Shaw’s Nightmare. Years later I found out that Artie came up with that theme from hearing a theme used by a cantor. JW: You hung out at the Savoy Cafe on Massachusetts Ave. when you were still in your teens, yes? NH: Yes. The people who ran the Savoy were very kind. I was underage, but they let me in. That’s how I got to meet so many jazz greats. Eventually, WMEX, a local radio station, let me announce live broadcasts there and play records on the air. But I was a regular at the Savoy even before I was on the station. Once I started on the radio, I used to interview jazz greats. One time I was interviewing Coleman Hawkins. I told him that I understood the feeling in Charlie Parker's playing but that I had grown up with Johnny Hodges and Benny Carter and didn't quite get Bird's approach. JW: What did Hawkins say? NH: He asked if I had one of those Charlie Parker records. I did. So we put it on in the studio, and he made me listen to everything Bird was doing. When Hawk was finished, I completely understood why Bird was special. It was a very valuable lesson. JW: You were a bright kid. After graduating from Northeastern University in Boston, you studied at Harvard. NH: Well, I didn’t study at Harvard long. I enrolled because the university had started the first major curriculum in American Civilization. I was fascinated by the subject, and there was a wonderful professor there who initiated the program. But something was drawing me away. One day when I was in Widener Library, another professor of mine came up to me. He had listened to me regularly on WMEX. NH: He said, "What are you still doing here? It seems what you care about most is the music and that you’d be better off doing it." JW: Did you take his advice? NH: Not immediately. That came soon afterward. While writing a paper on James Fenimore Cooper, the 19th century historical novelist, I found out that the guy had never even met any Indians. I liked what Cooper had written in his fiction, but he seemed like a fraud. I thought, how could this guy write about a subject with which he had no first-hand knowledge? Sidney Bechet was playing at the Savoy Cafe that night, so I closed my books and went down there to hear him. That marked the end of my Harvard ambition. 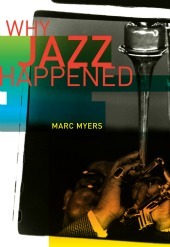 I decided there and then that I had to have a day job that involved writing about jazz. JW: Soon drummer Jo Jones befriended you and became your mentor whenever he came to town. Do you think he sensed that jazz's story was in your hands? NH: Oh, I think Jo was smarter than that [laughs]. Jo was a missionary about the music, like Art Blakey later. Jo figured it was his job to keep jazz writing and the music itself free of imperfections. He didn’t like people who were on junk, for example. He knew I was beginning to write seriously about jazz. So he sat me down one night at the Savoy and gave me a lecture. He said, “You gotta be careful about what you do. Know what you're doing and get to really know the musicians, because that’s what the music is all about.” His comments were invaluable. He was telling me that for my writing to be accurate and credible to my audience, I had to get close to the participants and involve them and their stories. JW: Jo was quite a role model. NH: Oh, yes. My favorite Jo Jones story was about Max Roach. Jo was notorious for showing up suddenly at other drummers' gigs when he wasn’t working. Max was playing one time in Chicago, and when he looked out in the audience, there was Jo. “Oh my god,” Max said to himself. So he played everything he could think of on his drums. Afterward, Max waited for Jo's magisterial response. Jo came up to Max and said, “All I could hear was your watch” [laughs]. JW: Eventually you returned to your studies, this time at the Sorbonne in Paris, in 1950. NH: That was on a Fulbright Scholarship. What I wanted to do was study the contrast between T.S. Eliot and Paul Valery. They both looked at everything in life in such a different way and so brilliantly. NH: I must confess that I never wrote about them. When I got to Paris, I did go to the Sorbonne. But I also went to the jazz clubs and the movies. That's how I learned to speak bad French. Of course, I never got to the subject that brought me there in the first place. I was too captivated by the jazz and overwhelmed by the beauty there. I was in Paris for about a year. JW: When you returned to the States, who gave you your big break as a jazz writer? NH: I started out as a stringer because I was hanging around at the Savoy and other Boston jazz clubs. A stringer is someone who writes regularly for many different publications. During this period I got to know producer Norman Granz. He'd call me often to let me know when he was bringing Jazz at the Philharmonic to Boston. We eventually became friendly. Contrary to general knowledge, Norman wasn't brusque. He actually was very nice to me. At one point in 1953, Leonard Feather, who had been the New York editor of Down Beat, decided to leave the magazine. I don’t remember why. So the magazine was looking for a replacement. Norman knew the publisher and had enormous pull since he advertised in the magazine. JW: What did Norman do? NH: He called the publisher and said, "Why don’t you try this guy Hentoff?" That was the big difference, and I was hired. JW: Was Down Beat a comfortable fit for you from the start? NH: Yes—until I did a terrible thing in 1957. NH: First let me give you some background. It was a jazz fan’s dream to work at Down Beat. I spent all my time on the music and in the clubs. I’d interview the guys and hang out with them as far as I could. Eventually I got to be close friends with many of them. I grew very friendly with [Charles] Mingus from the first days he came to Boston with Billy Taylor. Duke [Ellington] also was very kind to me. He was another one of my mentors. I learned something very interesting about interviewing through Duke. NH: Duke was always very helpful when I was writing about him and his band. But one time I was too sick to come to an interview we had scheduled and asked if we could do it by phone. So we did, and I encountered a very different Duke. NH: When we had met face-to-face in the past, Duke had always been "on." He was an entertainer and a huge personality, so that was to be expected. But over the phone, there was a transformation. Without having to be "on," Duke was very serious and open. Duke was such a profound guy. He knew so much history, not just about the music. That’s how I got a lot of the material for my books. JW: Did your phone experience with Duke motivate you to interview others on the phone? NH: I don’t do all my interviews by phone. But I prefer it when the person I’m interviewing isn't "on." Using the phone reinforces what I’m trying to do—get to the truth. JW: So what did you do wrong at Down Beat? NH: Everything was going well. By 1957 we had offices in New York, Chicago and Los Angeles. But we did not have any blacks on staff in any capacity. And much of what we were writing about originated with these folks. One day we needed a receptionist or someone who did more than that. A woman came in. She was very bright, and I hired her. She was black. The boss in Chicago, the owner, was furious. NH: He never said anything. But when I came in on Monday after I made the hire and after working all weekend on copy, I received a message it was to be my last week at Down Beat. I had hired the woman without consulting headquarters. NH: I didn’t leave. I was pushed. The same thing happened after 50 years at the Village Voice recently. I was fired. I was so surprised by the move by the Voice. Afterward I was reading my own obituaries in newspapers and magazines. But the Voice firing turned out to be the best thing that ever happened to me. NH: It led to a senior fellow position at the Cato Institute in Washington, D.C. The bread isn't the same but it's pretty close. It’s very stimulating place to be for a libertarian and strong civil liberties advocate like me. JW: How did you get jazz greats to trust you early on? NH: [Laughs] I don’t think there’s a formula for that. I was always so surprised they were willing to open up and talk. JW: What do you think your secret was? NH: For years I’d see reporters come in with lists of questions to ask. They had to get through that list, no matter what. You’d never do that with jazz artists. Forget the questions. Listen. Duke used to say to me, "I don’t want people listening to my music to analyze what the chords are or what we’re doing with the rhythms. I want them to open up to the music." It's the same thing with interviewing. I just listen, and the questions come from that. JW: So musicians felt you were laid back, without the outward pressure of an agenda? NH: I don’t know what the reason is, but I’m grateful for it. If they hadn't been so eager to tell me what they really felt about the music and their lives, I never would have written anything worthwhile. JW: Did you ever write something that caused an artist pain? NH: I used to do record reviews for Down Beat and was very pleased when I no longer had to do that. I often had to review a lot of stuff that I didn't like. It bothered me that I was affecting some people’s livelihoods when I was unhappy with a recording. What I've done ever since leaving Down Beat is to write only about recordings that move me. That makes me feel less guilty. JW: What did jazz musicians see in you? 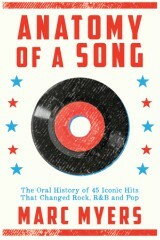 NH: The only answer I have appears on the back of one of my books, American Music Is. It's a quote from Dizzy [Gillespie], whom I knew very well over the years: "Thank god for Nat [Hentoff], who places the soul of the musician above that of his art." I can’t live up to Dizzy's blurb, but it struck some chord in Dizzy. JW: In some ways you're the first jazz intellectual. NH: Oh, no. Think about musician and writer Andre Hodeir [pictured] in France. And Charles Delaunay, whom I knew when I was in Paris in 1950. Charles gave me a driving tour of the city and told me an incredible story. Charles was already an established jazz writer and jazz discographer by the time the Nazis occupied France in 1940. During the war he was a member of the Resistance. One day he was rounded up by the Gestapo. While waiting in his cell to be interrogated, Charles was visited by a Gestapo official. The guy said to him, "You had the second trombonist wrong in the Lucky Millinder band in your discography." The Nazi was a closet jazz fan and let him go. Jazz had kept Charles alive. NH: Here you had many great writer-thinkers, including Ralph J. Gleason. My god, he was so bright in so many different fields. So I‘d have to decline your description of me. JW: Was the competition tough among jazz writers back in the 1950s? NH: There weren't that many of us at the time to have much competition. Besides, I never compete with anyone. As a reporter, I don’t believe in exclusives. If your job is to get the news out, I'm happy to help. I’ve often given leads to reporters on other newspapers. I’ve even shared things with reporters if I knew things they didn't. I never viewed jazz writing as a competitive sport. I may not have agreed with other writers and critics, but I never saw them as rivals in the pure sense. JW: Who was your hardest interview? NH: Hmmm. That’s easy, now that I remember. It was Benny Goodman. NH: Because everything I’d ask him, he’d say, “Well, what do you think?” Obviously the guy knew his horn. But compared to Artie Shaw, I don’t think I knew much about his own soul. I knew a lot about his technique. But Goodman was odd like that. You couldn't read him. Just when you assumed he felt one way about you, he'd do something that would surprise you. For instance, just after I arrived in New York from Boston to work for Down Beat in the early 1950s, my phone rang. When I picked it up, the voice on the other end said, “This is Benny Goodman. I need a tenor saxophonist for my band. Who would you recommend?" I was surprised. JW: So who did you offer up? NH: Zoot Sims [laughs]. Zoot was perfect. What's funnier is I think Benny hired him. JW: We’re you ever afraid or intimated by a subject before an interview? NH: No. I don’t go into an interview as a combatant, so I have nothing to be anxious about. An interview shouldn't be about the writer. It should be about the subject. JW: Do you regret anything you’ve written? NH: One time I was writing too much about Charlie Venutra, and I think it hurt him economically. JW: What do you mean "economically?" NH: I mean his records kept coming out, and I kept saying the same things in different ways: "Why doesn’t this guy stop and reflect rather than shouting all the time?" JW: Did you ever talk to Ventura about your advice or columns? NH: No, fortunately [laughs]. But if I did and he had hit me, he would have had a legitimate reason [laughs]. JW: Did you ever pan anything that turned out to be great? NH: Well, it took me a while to figure out what Bird was doing. Dizzy less so. And I never fell into the "sheets of sound" thing John Coltrane was playing. I knew where he was coming from though. He was hurt by all the critics who were put off by his approach in the early 1960s without understanding what he was trying to do. So I tried to be careful about that sort of thing. JW: Whose potential did you spot early? NH: I was one of the first to really dig [Thelonious] Monk. At the time, even some of the critics were saying, "How much of the piano does he really know?" and "What is he saying?” But he reached me immediately. That may have helped when Blue Note recorded him. I was writing about Monk from the start. It makes you feel good if you get great artists known and help them make some money. JW: Which jazz musicians of the 1950s have been largely forgotten but still matter? NH: Lucky Thompson comes to mind. Don Byas comes to mind. And some of the guys in Duke’s band, like Tricky Sam Nanton and Rex Stewart. Rex was an extraordinary musician and, by the way, a very good writer. You don’t hear his name mentioned much anymore. And Pee Wee Russell, who was one of the most original jazz musicians of his time. The guys on the front lines of the bands he was in surely wondered how he was going to get out of a chorus. NH: On Count Basie's band, we hear a lot about Prez [Lester Young], of course. But what about Buck Clayton and Dicky Wells? There are plenty of great musicians who don’t get attention any more. But I’m glad to see one thing. Back when I started, common wisdom said that jazz was a young man’s game. Bix [Beiderbecke] had died young. Bunny Berigan had died young. Today it's different. There are musicians in their 80s—like Clark Terry, Frank Wess, Jon Hendricks, James Moody—still touring and playing all over the world. That's heartening. JW: Which musician's words continue to echo most in your head? NH: I guess Charles Mingus. I learned so much from him—not only about the music. What I remember most from Mingus is him saying, "The problem in our society isn’t race. There is a race problem, for sure, but the real problem is that most of us get so caught up in the rhythms of work—work we don't like to do—and we lose who we are." I’m relaying his words badly, I'm afraid. Charles said it much better. JW: What's the biggest joy you've derived from your close friendship with Charles Mingus? NH: In addition to the delight of any friendship, I'd have to say hearing his creative process evolving. Every so often I’d be sitting at my desk, and at about 10 a.m. or so my phone would ring. When I'd answer, I'd hear some music. Well I knew whose music it was. Mingus had that signature sound that you could dig right away. After about 10 minutes, Mingus would come on and ask, "I just taped this. What do you think of it?” What a privilege that was. It was like Beethoven calling to ask, "What did you think about my sonata?" [laughs]. JW: Is there a link between jazz and justice? NH: Oh sure. When Max Roach was teaching at the University of Massachusetts, I was auditing a class there. Afterward we were talking. He said, "You know, what [jazz musicians] do, each of us as individuals, is listen to one another very carefully to make this thing work. And out of that process comes a whole that has its own identity. That's exactly what the U.S. Constitution is all about." How right he was. Thinkers coming together to create something that has enormous purpose. JW: You played a role in Roach's album, We Insist! : Freedom Now Suite, didn't you? NH: Marginally, and it was such an honor. Max had played the material originally at Art D'Lugoff's Village Gate. I was with Candid Records at the time . So I called Max up on a hunch and asked if he was going to record it. Max said no, that other record labels weren't interested. I said how about recording for Candid records? He said, "Great." Wow, what a session that was. JW: Do you think that jazz improvisation and justice-seeking are similar? JW: That jazz improvisation is a form of unrestrained truth-seeking and that justice and those who seek it are on a similar mission? NH: Oh my lord, yes. Supreme Court Justice William Brennan, whom I knew well, turned me on to a lecture that Justice Benjamin Cardozo had given. Cardozo had criticized a lot of judges for being "pharmacists." I'm paraphrasing, but Cardozo said, "You give justices a formula and they go by it. The human being is never there in their thinking." With Brennan, the human being was always there. Great justices like Brennan are always interested in the people. When you're interested in the people, you listen, just as jazz musicians do. Brennan always wanted to track cases from the beginning, to find out who the people involved were and what the essence of a case was. JW: As a writer, did you feel a connection with Brennan and Cardozo? NH: Yes. That’s how I've always written about jazz. I want to get to know who the people are and what they're doing and feeling and what the music is saying from their point of view. JW: Would judges and Supreme Court justices be better served if they listened to jazz? NH: I think so. It’s the music of the people, of the soul. You get a clearer sense of motivation through the music. JW: Does objectivity become threatened when jazz writers become close friends with musicians? NH: That’s interesting. Whitney Balliett [pictured] and I used to talk about that all the time. Whitney was one of the very few people who could put the music to words, so the words sang. Whitney used to say that he didn’t want to get to know jazz musicians well because he felt he wouldn’t have the necessary objectivity to write about them. JW: Balliett must have had a change of heart somewhere along the way. NH: Yes, he changed his mind, of course. His interviews with some of these people are superb. Personally, I don’t see the problem. If you’re saying. "I dig this person's music and I want to learn more," what’s the big deal? How else are you going to learn more about artists and their art than by talking to them? What is objectivity after all? JW: But did you ever worry that you’d be inclined to give a bad record a good review because you knew the artist behind the art? NH: No, never. I listen to the fact that it’s my byline and if I say something that I don’t really believe, what am I here for? They used to teach objectivity in journalism school. Today this has shifted rightly to fairness, not objectivity. The writer's tone and perspective has to be included. When I taught journalism, I used to say if you read The Nation, you need to read The Weekly Standard. You need know what everyone is saying. The same is true of jazz. You have to listen to everything. That's the only way you can be fair. JW: How do you want Nat Hentoff’s jazz writing to be remembered? NH: [Laughs] Probably something like this: "You could hear the voices of the musicians in just about everything he wrote."